Poker Pirate Folding Knife | BUDK.com - Knives & Swords At The Lowest Prices! It's a knife that combines both your passions, boating and gambling. The Poker Pirate folding knife's all stainless construction looks incredibly sleek making it perfect for someone who's smooth with his cards. The 2 3/4" stainless steel blade features a thumb stud for easy opening and a file worked back for a good grip when open. 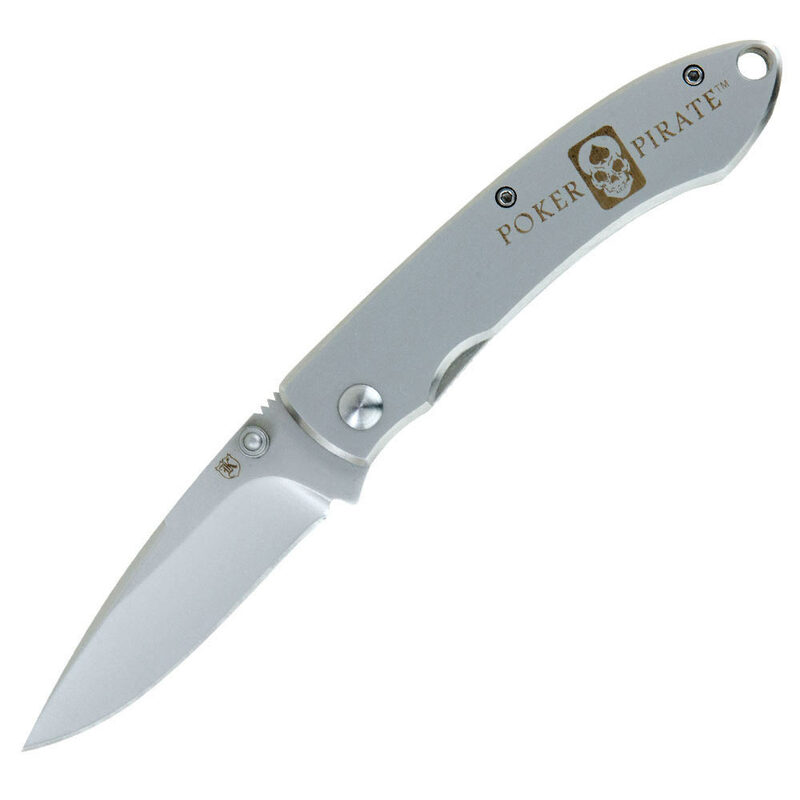 The Poker Pirate also features a pocket clip and lanyard hole for your choice of carrying.